The British writer and poet Rudyard Kipling became popular due to his short stories and poems; his quotes and aphorisms continue to be relevant today. The writer’s life also generates interest in people: it was exciting and complicated. Joseph Rudyard Kipling was born on December 30, 1865, in Bombay. It is believed the boy was named after the lake where his parents met. The child’s early life in exotic India was happy. 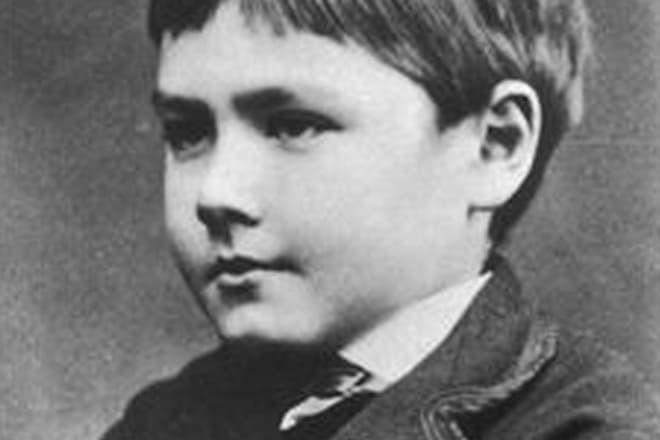 When Rudyard turned five, he and his three-year-old sister were sent to study in England. 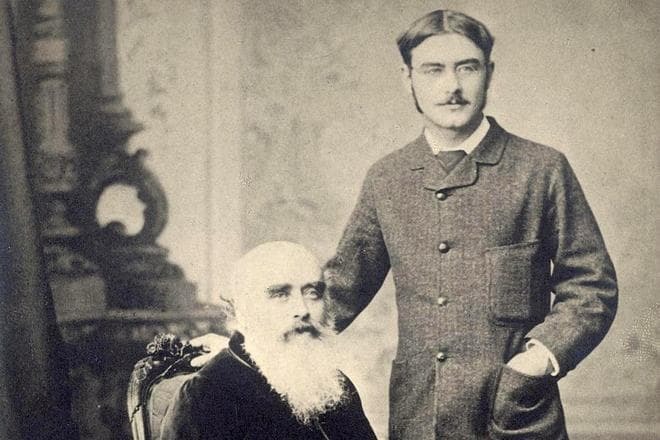 For the next six years, Kipling lived in a private boarding school. It was a challenging period: the school owners treated the child roughly and often punished him. The governess was a cruel woman and a hypocrite; the child was always limited in his actions, intimidated, and beaten. This stress made a negative impact on Kipling: for the rest of his life, he suffered from insomnia. A couple of years later, when the mother came to see the children, she was shocked: the boy was almost blind because of the nervous breakdown. She took the children to India. However, Kipling did not spend much time there. To enter the prestigious military academy, the 12-year-old boy went to the United Services College at Westward Ho!, Devon. The father’s friend Cormell Price was the college head; he was the first person who encouraged Rudyard’s interest in literature. Overall, the college was notable for the atmosphere of drilling and violence. Uneducated teachers and students disturbed the teenager. Rudyard read a lot and wore glasses; besides, he was small. It was difficult for him to live at Westward Ho! Still, the would-be writer did not give up. He got used to everything and even developed a taste for rude tricks. The teenager genuinely believed the lessons of submission were necessary; it helped him save the respect for himself. 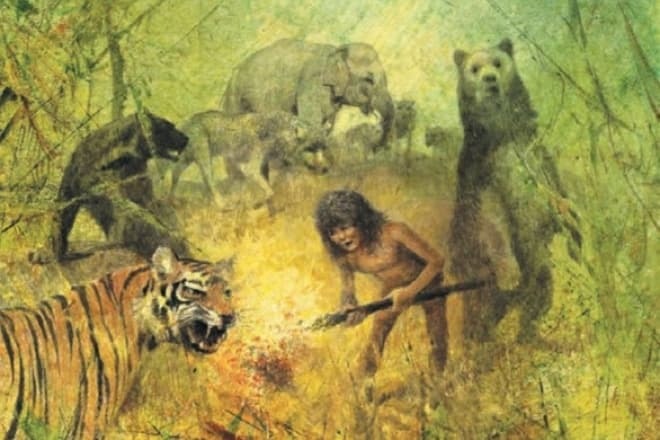 Kipling accepted the fact that tough education was sound, and the idea of law as the conventional system of taboos and permission settled in his mind. 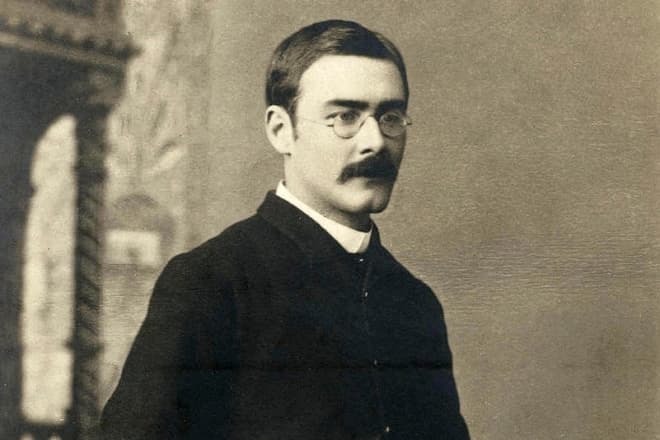 The college period influenced Kipling’s opinions and principles; his mindset formed early. Rudyard did not continue his military career because of his eyesight problems and quitted Westward Ho! The college did not provide diplomas which gave the right to enter Oxford or Cambridge; thus, Rudyard’s education was finished. Impressed by Rudyard’s short stories, his father helped him become a journalist in The Civil & Military Gazette published in Lahore. In the course of time, the young man became a mason. The general spirit, ceremonies, ultimate obedience to law, and messianism played a significant role in Rudyard’s life. 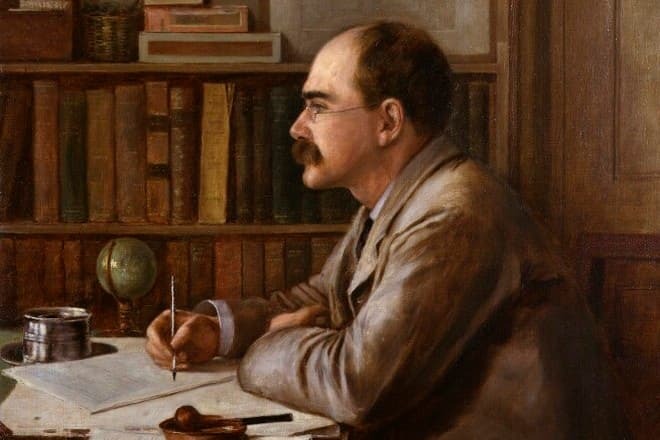 As soon as Kipling realized that writing was the meaning of his life, he created Schoolboy lyrics where he imitated the leading poets of that period. Three years later, in Echoes, the writer changed his style: he parodied the then popular authors and revealed their artificial manners. At the end of 1882, the young man came back to his motherland and got hired as a journalist. He wrote short stories and poems in his spare time and sent them to newspapers. Kipling devoted seven years to journalism; he traveled a lot and saw the country where mass ignorance was intertwined with spirituality. This job gave the young man the chance to develop his natural observation and communication skills. Rudyard became the master of short stories; his early maturity and productivity were impressive. Writing his works, Kipling adhered to the rule: a story should not exceed 1200 words. The best stories were included in the first collection Plain Tales from the Hills. The majority of the stories created in India were included in this paperback. An Allahabad newspaper offered the journalist to create a series of essays about different countries. Excited, Kipling was exploring the everyday life in Asia and America. These impressions manifested themselves in six books. The world of literature welcomed the young author warmly; critics emphasized his unique writing style. Kipling traveled to England, China, Burma, Japan, and North America. Initially, Kipling became popular in India; later, Great Britain also recognized him. As Rudyard collected many impressions, he came back to London and started working on new books. Kipling’s stories were in high demand. The writer continued to develop the Indian theme, and the distance between Kipling and his home only gave color to his memories. Rudyard also took part in the London literature life. Critics gave positive reviews of Indian Railway Library, but The Light That Failed was not acknowledged. In general, the young writer was successful; he was even compared to Charles Dickens loved by everyone. Kipling’s popularity was determined by his novelties; he entered the world of literature when it needed new characters and marvelous ideas. It was Kipling who drew readers’ attention to ordinary people in unusual and extreme situations where the core of their characters could be seen. In the time of apathy and gloom, the writer celebrated industry and showed the heroism of the daily routine creativeness. The author made the language of literature and poetry style democratic; it was the main condition of the artistic revolution. Kipling’s books introduced the unvarnished life and described the world as it existed. In the course of time, Kipling took an interest in writing children’s stories. Critics appreciated these works; his tales made the author incredibly popular. In 1907, Kipling became the first English writer who received the Nobel Prize in Literature. Kipling was the youngest person who gained this award. He went to the ceremony but did not deliver a speech. Soon after this event, Kipling’s creative activity decreased. 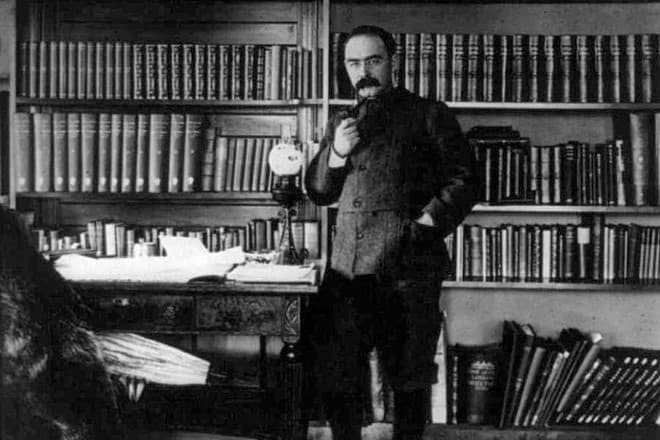 In London, Rudyard Kipling met the young publisher Wolcott Balestier who died of typhus in 1892. Soon after his death, the writer married Wolcott’s sister Caroline. When the couple enjoyed their honeymoon, the bank where Kipling’s savings were stored went bankrupt. The young people hardly found the money to get to Vermont where Carolina’s relatives lived. At first, the newlyweds rented a small cottage. However, after their first child Josephine was born, there was little room for the three. The family purchased the land and built a new house. The second daughter Elsie was born in this house. Overall, the Kilpings lived there for four years until Rudyard had a quarrel with his brother-in-law. In 1896, after the scandal, the family moved to England where the third child, the son John, was born. Rudyard was a loving and caring father. He created his tales full of warmth for the children. The writer’s life was not always easy. 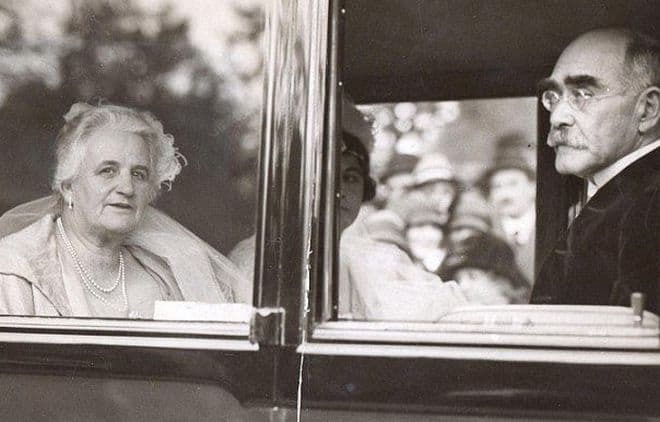 During the trip to the US, Josephine died of pneumonia. It was a severe blow to Kipling. Unfortunately, it was not the last loss: the writer’s son died in the World War I; his body was never found. Rudyard and Caroline worked in the Red Cross at that period; they spent four years trying to learn how their son died. They hoped their son had been captured by the Germans. 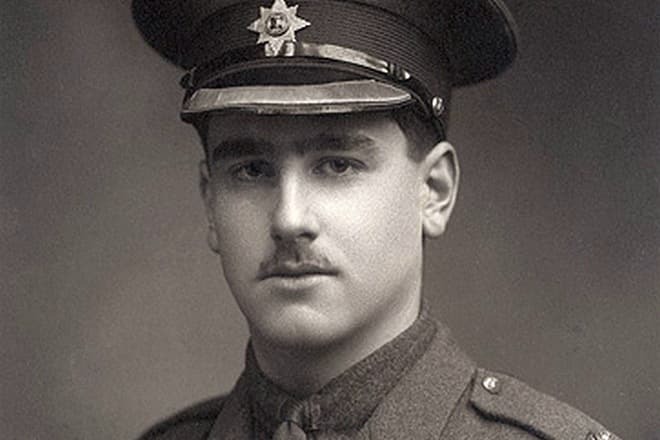 However, in June 1919, the writer despaired completely and informed the military command about his son’s death. The movie My Boy Jack tells the story of that period in the writer’s life. 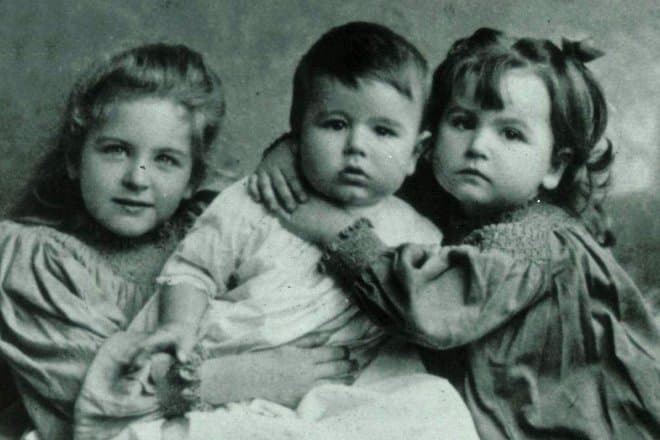 Among Kipling’s three children, only Elsie lived a long life and died at the age of 80. Throughout her life, the woman tried to save the traditions of her father and husband; she bequeathed her fortune to the National Trust. Rudyard kept writing, but he was getting less and less successful. From 1915, the writer suffered from gastritis; later on, the diagnose turned out to be wrong: Kipling actually had a stomach ulcer. The writer passed away in London on January 18, 1936, less than a week after the surgery. His body was cremated. Today, his ashes are placed in Poets' Corner (Westminster Abbey) next to Charles Dickens and Thomas Hardy. Kipling’s decline could be explained by growing imperialist and conservative opinions; besides, his works were accessible to anyone. Modernists believed the writer avoided the topics and aesthetic principles they promoted. However, critics began to reconsider Kipling’s works in the early 1940s. After his collection of poems was republished, the interest to his texts recommenced. 1899 – Stalky & Co.